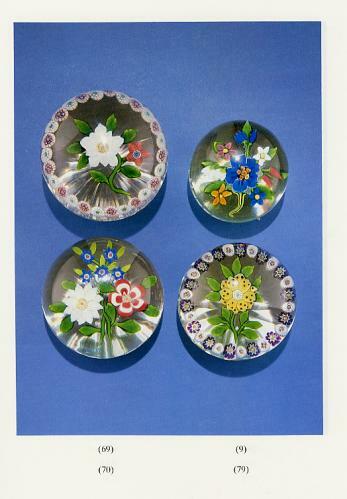 This is a catalog from an exhibition of antique French paperweights mounted by the New York - New Jersey Paperweight Colllectors' Association on October 25, 1986. The catalog does not say where the exhibition took place, but it was later displayed at the Corning Museum of Glass in Corning, New York during the May 1987 Paperweight Collectors' Association Convention. The exhibition catalog includes color pictures and descriptions of 74 outstanding French paperweights plus 16 paperweight related objects. 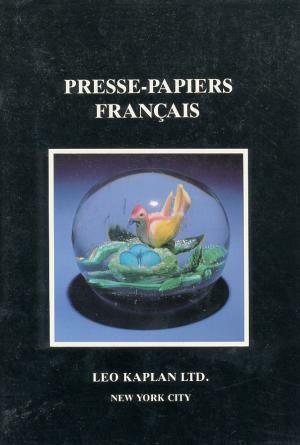 The cover depicts the famous "Bird in Nest" paperweight once owned by Paul Jokelson. It is numbr 45 in the catalog. 44 pages with all pictures in color. 6 1/2" by 9 1/2". 1986. Originally priced at $12.95, this is an out of print publication.